Istanbul's tranquility lies in its ability to embrace its beauties, and is one of the largest, liveliest and most exciting cities in the world. Our mission is to become the most preferred European air carrier by maintaining our strict compliance with flight safety. As the best airline in Europe for three consecutive years*, we understand that our customers choose us as their preferred carrier for various reasons ranging from our extended range of destinations that we fly to; as well as for striving to continue to provide world class service. We are currently looking forward to expand our crew with the addition of experienced captains and first officers. If you wish to become part of our continued growth and success, we kindly invite you to take part in our exclusive recruitment road show in Hong Kong which is set to take place on January 22-23, 2014. To pre-register to this event please fill out the form. For further information please visit job opportunities page. 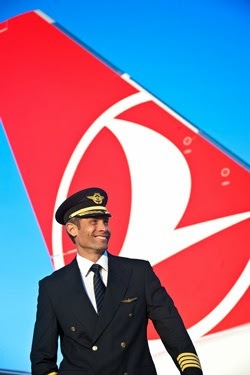 * Turkish Airlines has been awarded Best Airline in Europe at the 2011, 2012 and 2013 Skytrax World Airline Awards.